Traditional Tibetan musical culture is divided into two main schools: the religious music and the folk music. The advent of Buddhism influenced the religious tradition which considers music to be a spiritual offering rather than entertainment. Typical instruments of this culture are drums, cymbals, horns etc. In the folk tradition, music performs a different function. It serves to celebrate community events such as harvest festivals, weddings, the completion of houses, etc. Tibetan folk instruments are: “dranyen” , “gkling bu”, “piwang”. In addition to the above-mentioned schools, there exists the lesser-known “nangma” culture. This tradition stems from Kashmiri Muslim influences. Nangma can be compared to the classical Western tradition with strict rules governing composition and style. 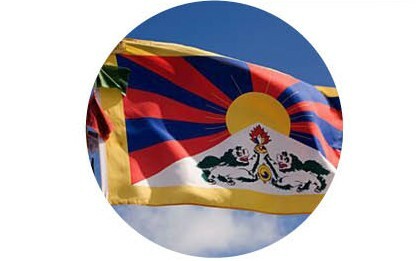 Contemporary Tibetan music emerged In the 80’s, particularly in Tibetan exile community, although in embryonic stage. Tibetan songs accompanied by western musical instruments like guitar, synthesiser and acoustic were slowly making inroads into the fabric of exile music. Slowly people were accepting this contemporary Tibetan music, specially the youngsters and teenagers. Similarly in Tibet during this period, pop songs influenced by eastern and western music styles and instruments became popular. Today, Tibetan music spans a wide range from traditional music, pop / rock music, electronic, hip hop and various combinations.